A highlight of everyone’s year is always Christmas time. Unfortunately, many people with disabilities are often forgotten or overlooked during this important time of the year. 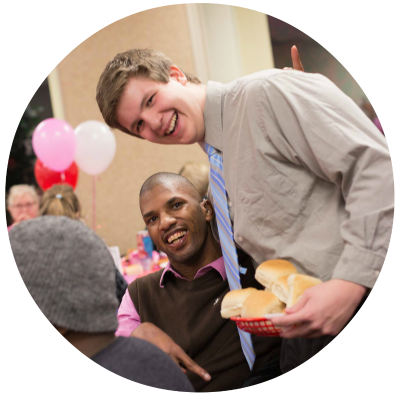 That’s why One Heart hosts Christmas Special Deliveries each year, passing out small gifts, Christmas cookies, and Christian material to over two hundred adults with disabilities. The day of distribution is always a highlight for both the volunteers and the people receiving the gifts. Some save their gifts to open on Christmas Day and others open them right away, but either way, the people receiving One Heart’s Special Deliveries are always excited and thrilled about a visit from friends. Going to each person’s home for a personal delivery is not the easiest thing to organize, but it’s all worth it in the end. Special Deliveries are funded through donations of cookies, money, and small gifts. There is no cost to the person receiving these items. 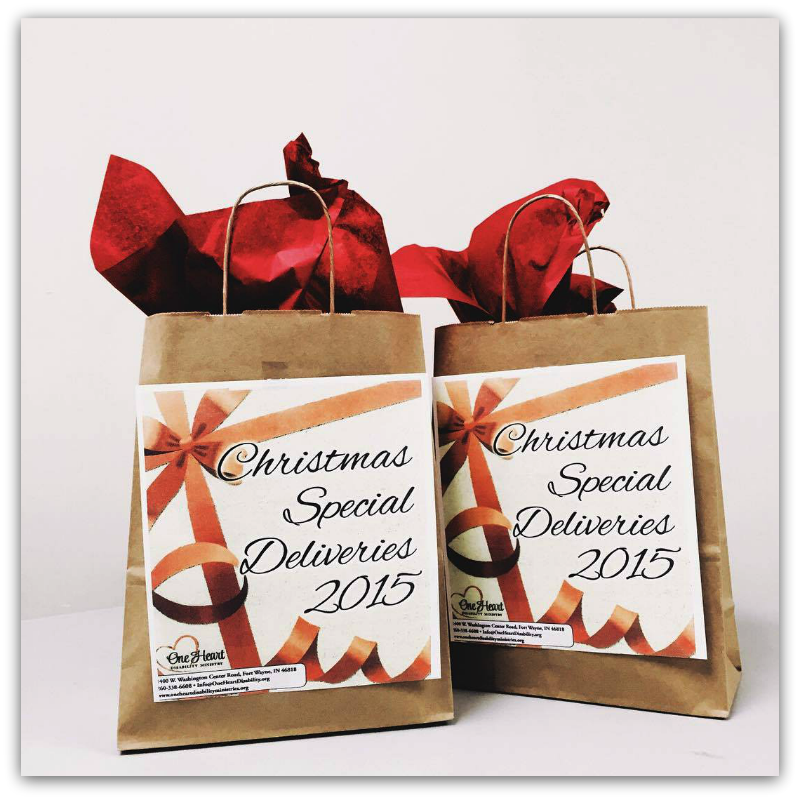 If you are a family member, or person with a disability who would like to receive Special Deliveries, just contact us and we will get you signed up. If you are a person interested in volunteering or donating for Special Deliveries, then contact us as well and we will get back with you. “One Heart is a great ministry experience for the members and the volunteers. One Heart is awesome!” -Jacob R.